A look into a space we can finally call home. Without Homee, we would have never achieved this characteristic space which Kyle and I now love to curl up in for movies, afternoon tea, and cat naps. 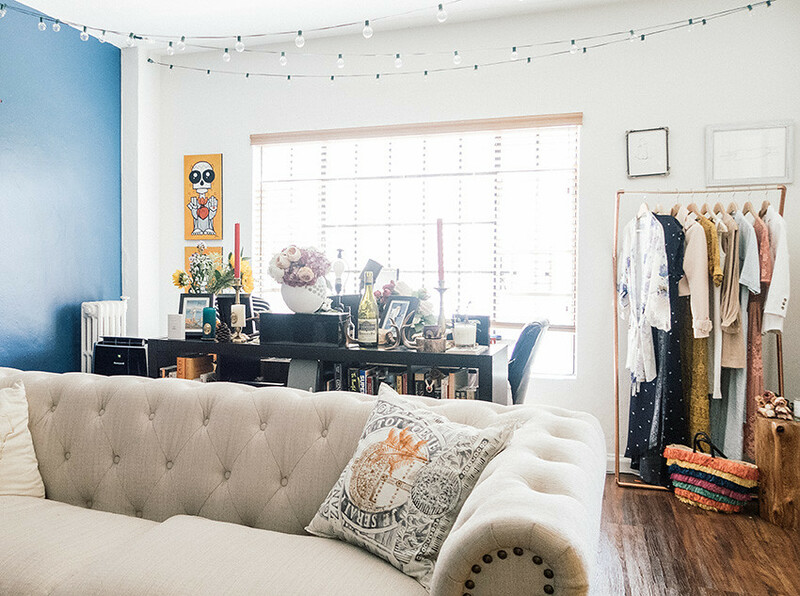 It's become a space we're enamored to inhabit, not only as an intimate living room, but also as a refreshing and inspired work studio. We've completely rearranged our combined work and living space so that these two areas act as their own, while flowing freely into one another. In our previous layout, both of our desks were facing the wall, right next to our foyer entrance and the living area was next to the window, awkwardly facing our work station and right into the mess of our jobs. 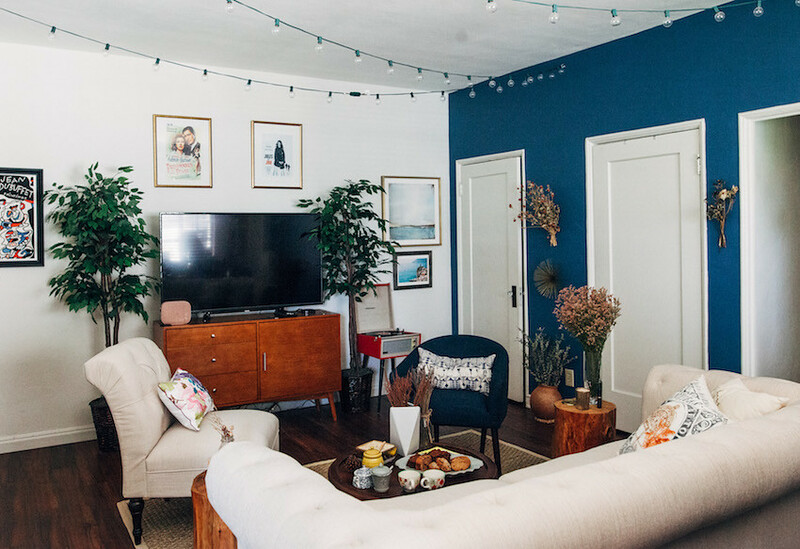 In this new arrangement, the living area is so much more welcoming to guests as they first enter our home and those looking to just lounge and relax can feel cozy in one devoted space. Our work studio is a much more pleasant experience with the warm light pouring onto our desks, while having a bit of floral-screened privacy from the living area and a dedicated corner for each of our office needs. The biggest transformation piece was our couch: we traded in our old, cat-scratched thing for this gorgeous couch with soft, elegant roll arms that I am just obsessing over. It's literally my dream couch! To make our home feel very us, Kyle and I added a few finishing touches. We love the organic silhouettes of nature, so our room is filled with beautiful dry florals and faux trees with space for weekly fresh bunches of wildflowers. Bits of gold accoutrements from our travels line the surfaces for nostalgic effect. 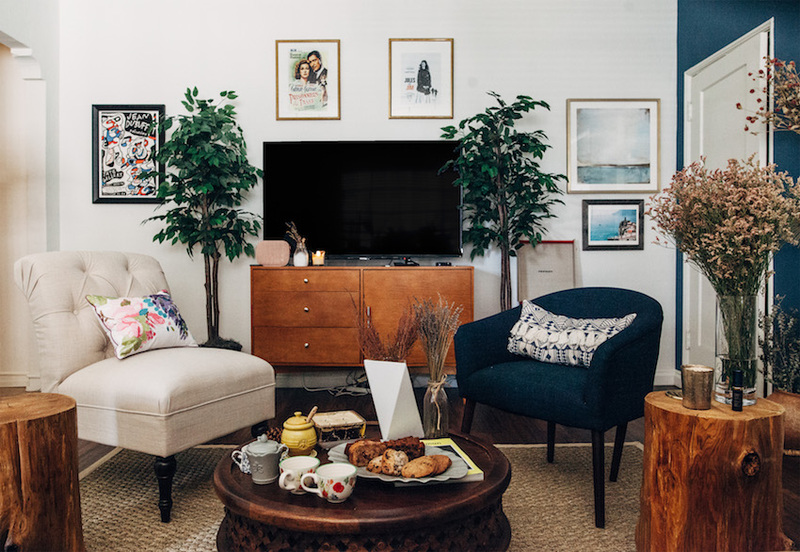 We also went to Minted to frame artwork we've collected and to discover some new pieces that would complete our modern, blossoming living room. Our living + work space is just perfectly us and we're so grateful to have found Homee to help us in our interior design journey. And, our journey is forever onwards! 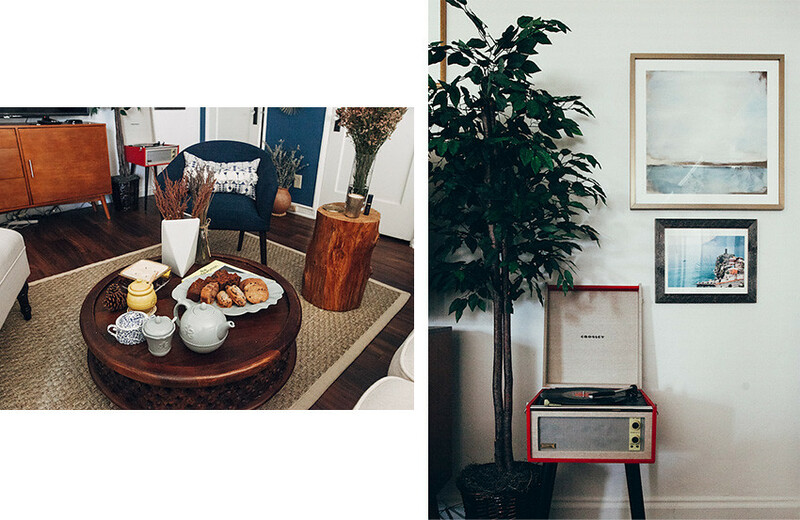 Whenever we may gather new inspiration for our living space or for other rooms like our bedroom, or for just small refreshers like a a new rug, we're looking forward to chatting with our friends at Homee again. Thank you so much Homee for making our lives so much easier and prettier! 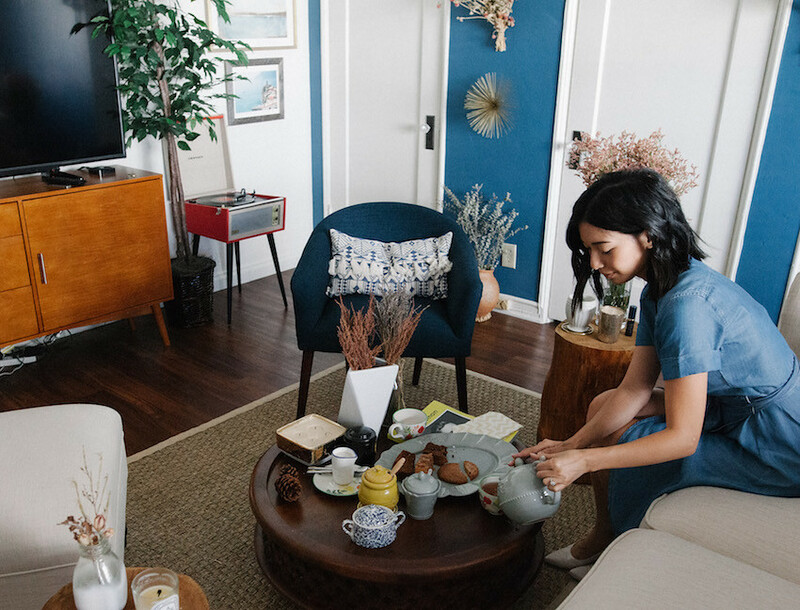 Stay tuned for a video where I invite Homee co-founder Madeline into our new home for afternoon tea and a chat! Download Homee and get started on your own home refresh! Love the eclectic yet cohesive combination of modernism,openness of space with an air of "whimsy provence"